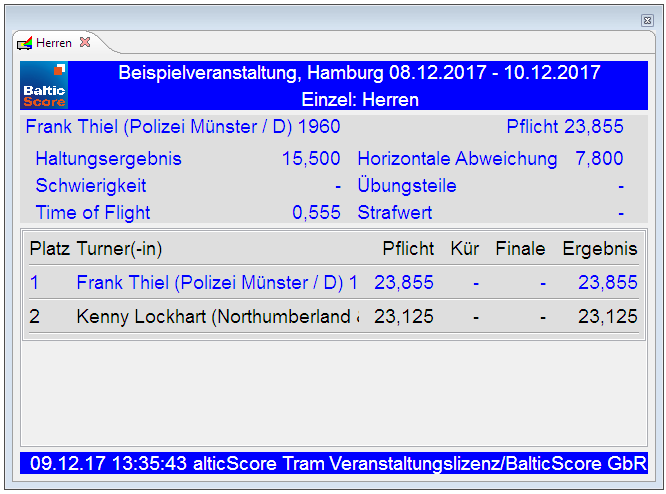 For a competition class the actual scores can be presented in a special view. The view can be detached to be moved to a second monitor or a beamer. Font size and refresh frequency as well as other parameters can be set.